As Portlanders, we know rain. Whether it's that constant drizzle that drives us all bonkers, or the more exciting torrential downpour, Spring, Summer, Winter or Fall, we're used to it. Because of the rain, we've all had to forgo fashion at one point or another for a techy and often unattractive rain jacket. Well, we're here to tell you that it doesn't have to be that way anymore. 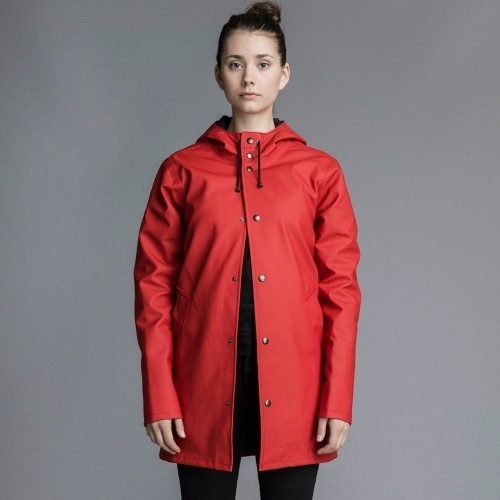 Stutterheim Raincoats, made by hand in Sweden, are waterproof, durable but most importantly they're super cool. Inspired by his grandfather's old and oversized fishing coat, Alexander Stutterheim started the company from his apartment in Stockholm. He took the original raincoat from the 60's and updated the fit (and color) to suit modern men and women. The unisex jackets are sewn by hand in the last standing textile factory in Sweden, defying the current industry standard of low priced, overseas production. The attention to quality and craftsmanship is clear in the taped and sealed seams of the jackets. Each label is signed and numbered by it's seamstress, reminding the wearer of it's hand crafted origins. The constant rain that we endure in Portland can certainly bring us all down and make us feel melancholic and blue. But, according to Stutterheim melancholy inspires creativity. He believes melancholy is an active state that leads to the exploration of our own potential. To embrace melancholy is to simultaneously embrace joy and humor, accepting the dark with the light. Although Stutterheim has you covered, it's nice to have a little extra help stashed in your bag. Contrary to popular opinion, we are allowed to carry umbrellas in this city, in fact we encourage it. Senz Umbrellas were created by Gerwin Hoogendoorn in Delft, Netherlands, while he was studying industrial design and engineering. His goal was to create an umbrella that could survive the elements - most importantly wind. By studying the laws of aerodynamics he was able to completely redesign the tool in a more durable and efficient way. Since their inception in 2006, Senz Umbrellas have won multiple major design awards. 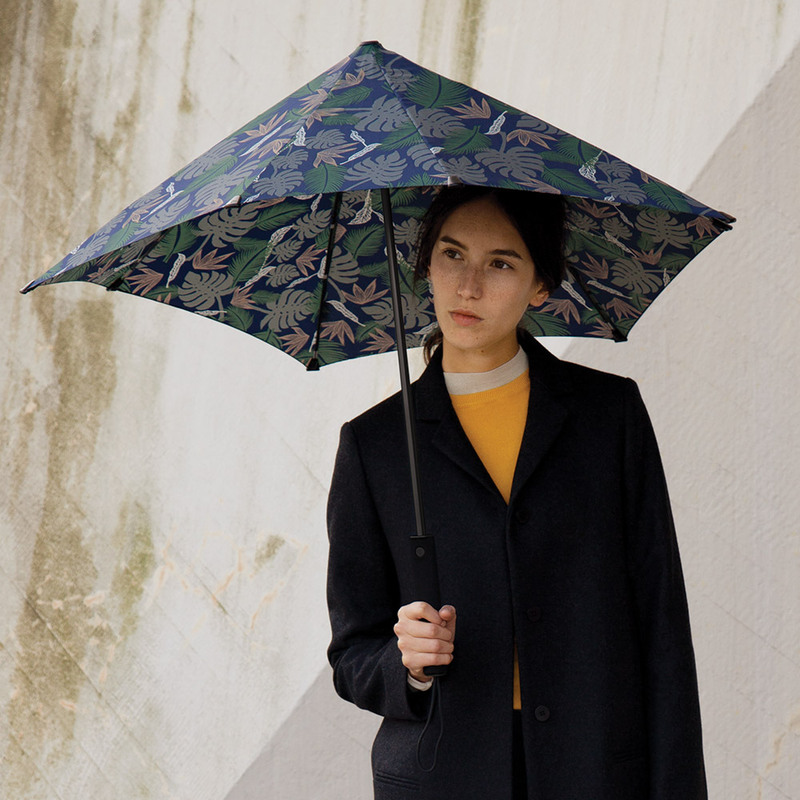 These umbrellas are able to mix function and style. As Portlanders we need to do as the Swedes do - embrace melancholy - and according to Alexander Stutterheim "Embracing rain is a good start."